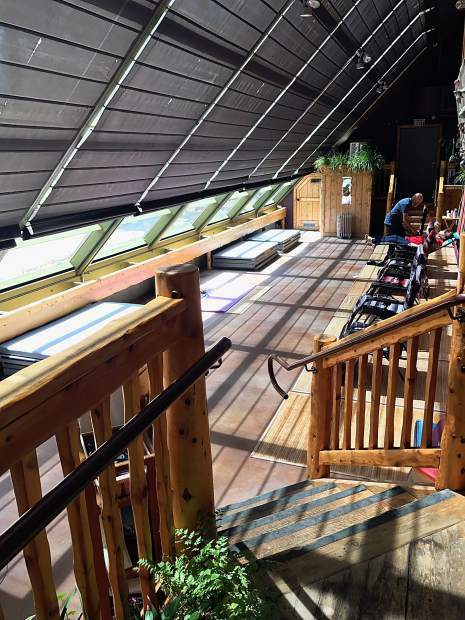 An upstairs therapy room at The Lake Tahoe Wellness Center. 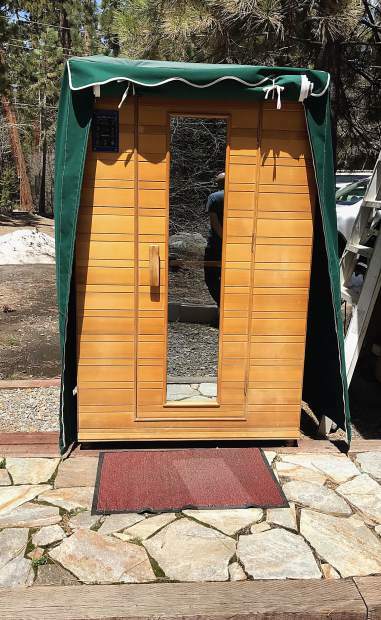 The infrared sauna is located outside, near a private creek area with shower amenities. The center's entry is welcoming, with lush plants beneath a spiral staircase leading to additional therapy rooms. 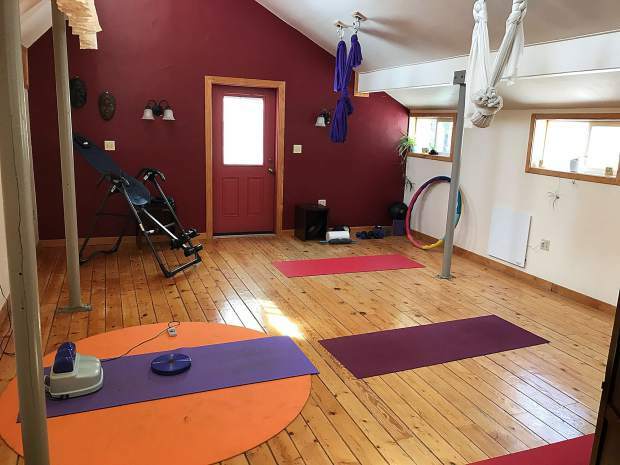 The upper floor of the center houses a Pilates reformer, inversion table, aerial yoga hammocks and equipment for bodywork. 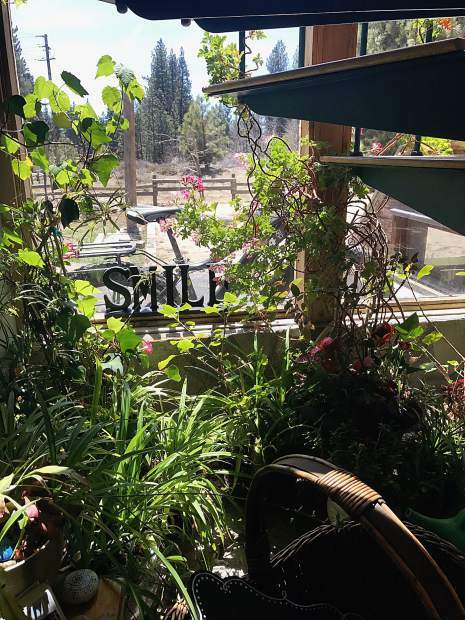 Lake Tahoe Wellness Center offers community acupuncture days for complimentary healing for locals in their warm sunroom. 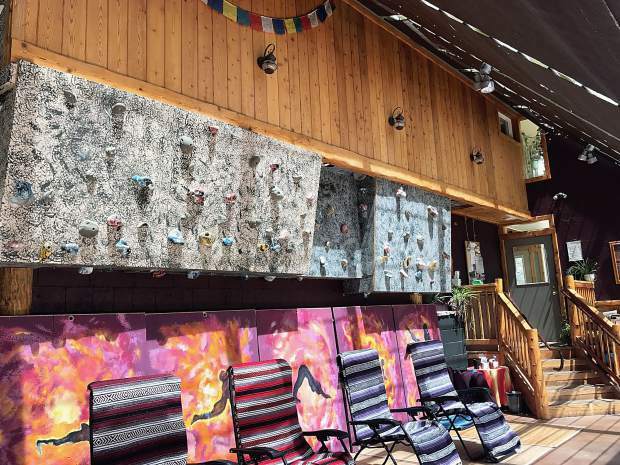 When not used for community acupuncture, the sunny space is home to a rock climbing wall and is used for yoga and tai chi sessions. 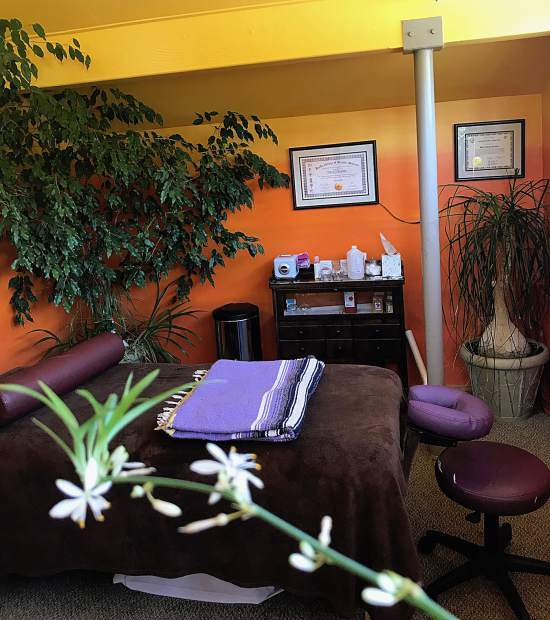 Lake Tahoe Wellness Center programs include chiropractic, acupuncture, active release therapy, massage therapy, an infrared sauna, yoga and tai chi classes, an indoor climbing wall and full herbal pharmacy. Visit www.laketahoewellnesscenter.com for more information. New Year’s resolutions are well intended but can be difficult to abide by once the first of January is a distant memory. Luckily, Kings Beach chiropractor Dr. Lily Kuehne (D.C.), says there are simple steps people can start making to optimize health, long-term. 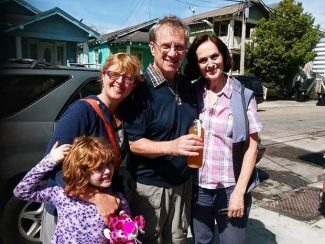 Kuehne owns and operates Lake Tahoe Wellness Center alongside her husband, licensed acupuncturist, Mark Kuehne (L.Ac.). “We lead our practice members to better choices, being proactive, and teach them to be resilient. Resilience is our ability to recover, our ability to adapt, our ability to embrace change. We ruffle the status quo and teach on how to stop recreating the process that got them that way,” she said. 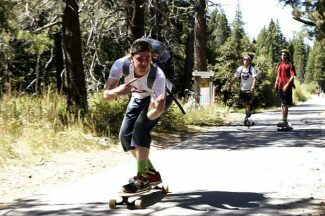 Lake Tahoe Wellness Center believes in setting people up with the tools to be proactive in protecting their health, rather than waiting until a problem occurs. To start 2018 on the right foot, Dr. Kuehne suggests five easy changes to integrate into your daily routine to optimize health. 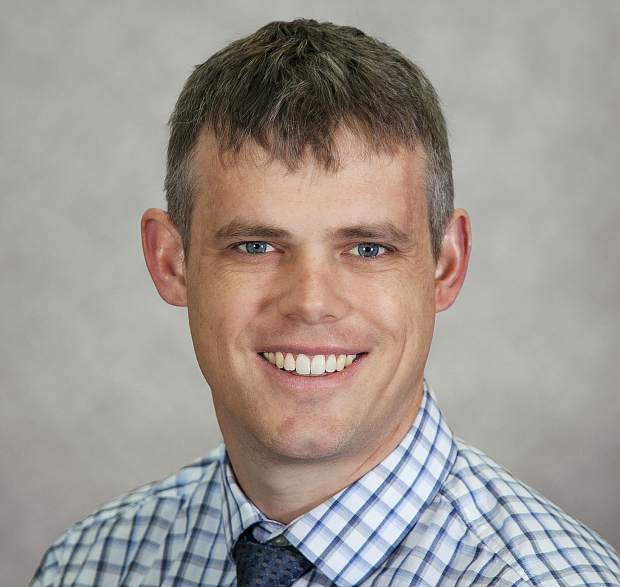 Dr. Kuehne said that when it comes to sleep, quality is better than quantity. “Five hours of uninterrupted sleep is better than eight or nine hours of tossing and turning. Sleep is where the good stuff happens: repair, regenerate, recover. Study after study proves this point,” she said. Dedicate nighttime to a routine in which your body can relax and prepare for a restful night’s sleep. Movement and energy work like Qi Gong, Tai Chi, yoga, meditation and breathing work have phenomenal effects on the body. “Energy cultivation helps with calming the mind, enhances the energy flow and gets you focused. Chiropractic and acupuncture can fall in this as well since we work on balancing energy. Traditional Chinese medicine called “Chi”, and chiropractic refers to healing energy,” she said. Dr. Kuehne said 90 percent of a person’s brain nutrients come from spinal movement. “Make sure your spine is moving properly, it is what protects your nerve system, which controls function. More muscle leads to more energy output. All this publicity on the mitochondria, the powerhouse of the cells, your muscle sells are very dense with these. Your brain has lots of energy requirements, has a lot to do with flickering that light of vitality,” she said. 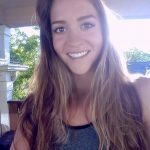 She explained that it is a heavy burden on your body to detox from environmental toxins like food and chemicals, making less energy available for it to perform other functions. “Minimize exposure to this with what you can control. Simple things like stopping using fabric softener with chemicals, creams, lotions, cosmetics, additives, etc. Shop organic or at your local farmers market. Know where your food came from,” Dr. Kuehne said. One initiative people can take to immediately improve their health and wellness is to practice positive thinking. “You become what you put your mind to or what you are thinking of. We have over 70,000 thoughts per day, 90 percent of them are the same as the day before! How you think, feel and act are your personality and your personality creates your reality,” she said.